The safety of our water supply is a subject that’s on a lot of people’s minds these days. 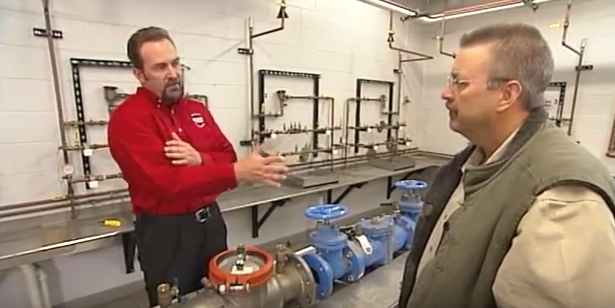 In today’s video from the Building Wisconsin TV series, we learn about Backflow Prevention and protecting our water supply with backflow valve assemblies. Host Stuart Keith meets with Scott Hamilton from ASSE International, Vince Gallo from Plumbers Local 75, Jim Kosmatka from Milwaukee Water Works and Andy Brahm from Illingworth-Kilgust Mechanical.